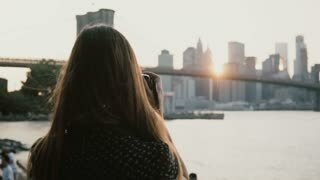 Search Results for "brooklyn bridge sunset"
Back view woman with camera taking photos of amazing Brooklyn Bridge sunset cityscape panorama in New York City 4K. 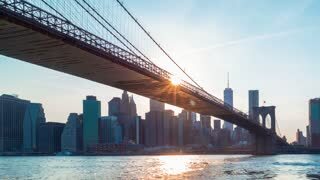 Portrait of happy playful European girl posing, smiling at camera near sunset Brooklyn Bridge river panorama, NYC 4K. 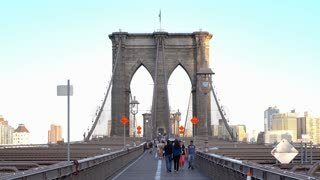 Brooklyn Bridge sunset timelapse. 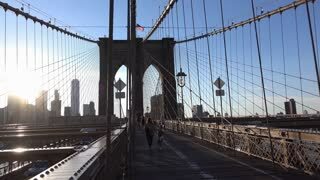 Time lapse at Brooklyn bridge, NYC. 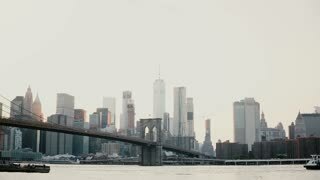 NYC Skyline time lapse. Brooklyn bridge sunset, fast moving clouds, timelapse. An establishing shot of New York City's World Trade Center and Brooklyn Bridge at sunset. A tracking shot of New York's Brooklyn Bridge at sunset. An establishing shot of New York City's Brooklyn Bridge at sunset. The bridge spans The East River, connecting th boroughs of Brooklyn and Manhattan. Shot during the summer of 2016. An establishing shot of New York City's Brooklyn Bridge at sunset. Shot during the summer of 2016. The bridge spans The East River, connecting the boroughs of Brooklyn and Manhattan.